Make your big day even more special by including handwritten elements. Here’s all you need to know about incorporating calligraphy into your wedding plans. 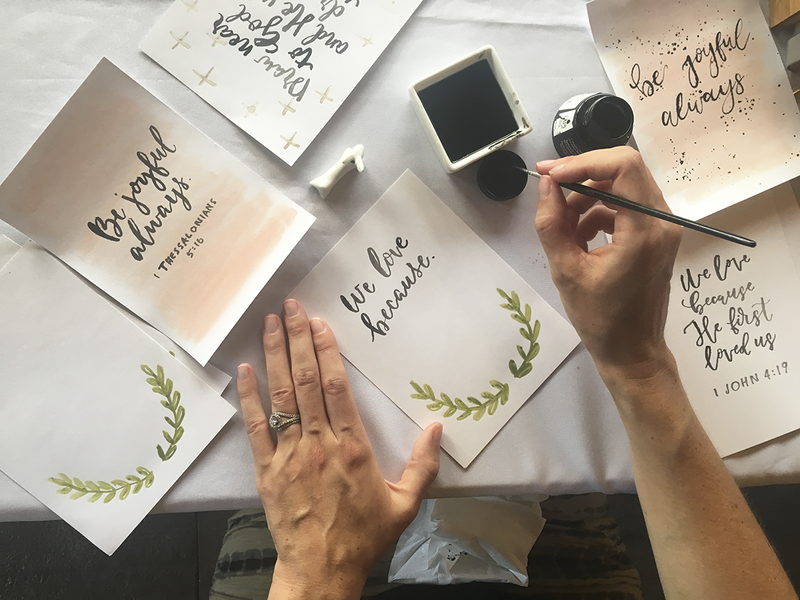 Photo by Elsey HopkinsNot only is calligraphy a beautiful touch on paper goods, it’s also mesmerizing to watch at a live demonstration. 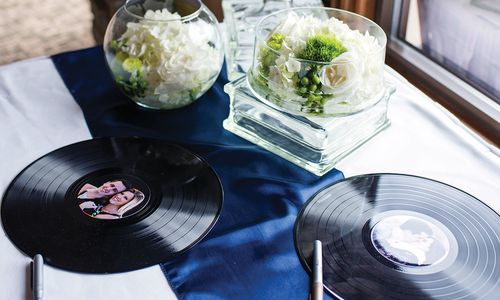 Calligraphy at weddings is a growing trend, allowing an elegant, personalized touch to an event’s decor. In 417-land, finding an individual with this specific talent and then knowing how to proceed might seem overwhelming. We put together a quick guide with who to contact and what style fits each couple’s specific taste. What do the Pros Need to Know? It is amazing, due to its popularity, how many amateur calligraphers can be found. Inquire at The National Art Shop or a hobby store where the calligraphy pens, ink and paper can be purchased. There are experienced, professional calligraphers who can match fonts and colors and know the strict guidelines in correct addressing. If you want to make a bold and exceptional impression with your invitation, it is worth the time and investment.—M.W. 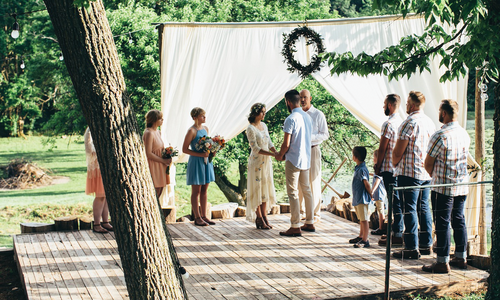 “Etsy or The Knot are good places to find the calligrapher you’re looking for, and finding a local vendor adds that personal connection and attention you want to help make your big day perfect. And as for me, I have a background in illustration and design, am a graphic designer by trade and enjoy stepping away from the computer to take pen to paper with traditional and modern calligraphy.”—E.R. “A popular trend we have found is really anything in handwritten calligraphy. Either a few lines and details, or a whole invitation. 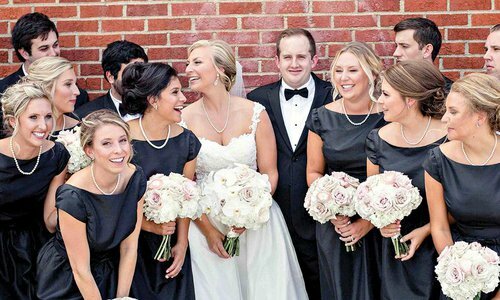 Personalized crests, motifs, maps and monograms are also popular with our brides. We do invitation suites, envelope addressing, wedding signage, menus and place settings.”—E.R. 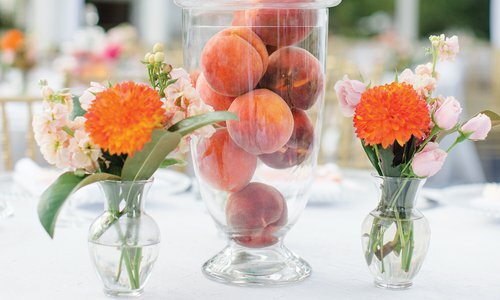 Give your wedding a personal touch with these couldn’t-be-easier DIY projects. Add a personalized background to your big day with a homemade backdrop in your favorite fabric.